Platinum Bangles by Suranas Jewelove. Shines like a diamond without the price tag of diamond! This pair of Platinum Bangles are especially designed with full platinum diamond cut which shines like diamonds! 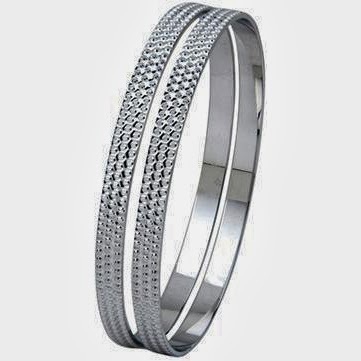 Purchase this pair at Platinum Bangles with full Diamond cut by Suranas Jewelove.